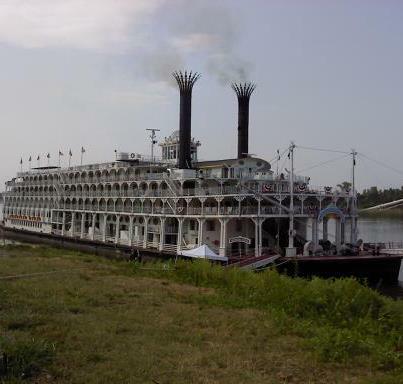 The Hospitality House overlooks the Mississippi River, and if you are lucky, you might see a steamboat docked on the river! Looking at the Hospitality House from the top of the hill. One block from the Hospitality House are a set of stairs leading from the road to the top of the hill. These City Steps end near the Randolph County Courthouse. The view from the top is awesome. 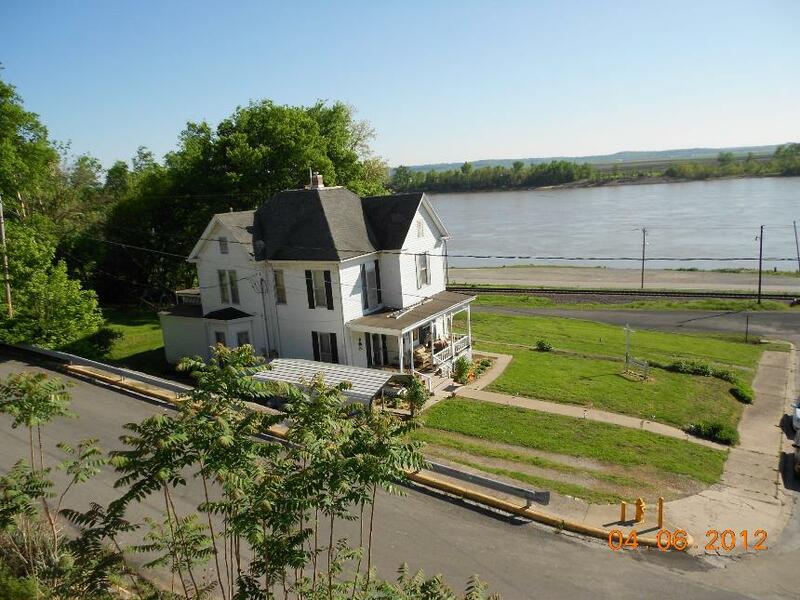 You can see miles across the river into Missouri. 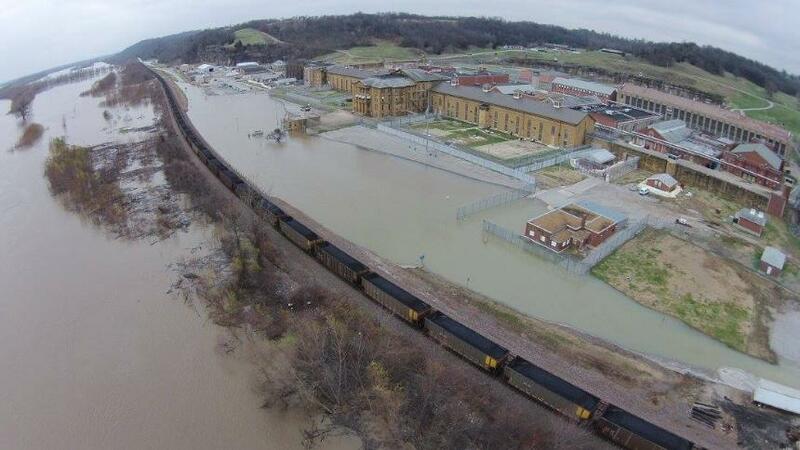 In December of 2015, the Misssissippi River flooded land near Menard Correctional Center. The above photo show how close the water came to the prison. St. Louis, Missouri, is 80 miles from Chester, Illinois. The St. Louis ARCH is marked at the Gateway to the West. Below the arch is an awesome museum. If you are brave, you might want to ride the cabled cars up to the top of the arch just to see the fantastic view.